Stephen Davis, left, and Robin Alexander Brown are co-developers of a hotel called Studio Allston. They were photographed in one of the rooms with art by Thomas Buildmore. Robin Brown spent 14 years managing the Four Seasons. Then he developed the Mandarin Oriental. The man knows fine lodging. 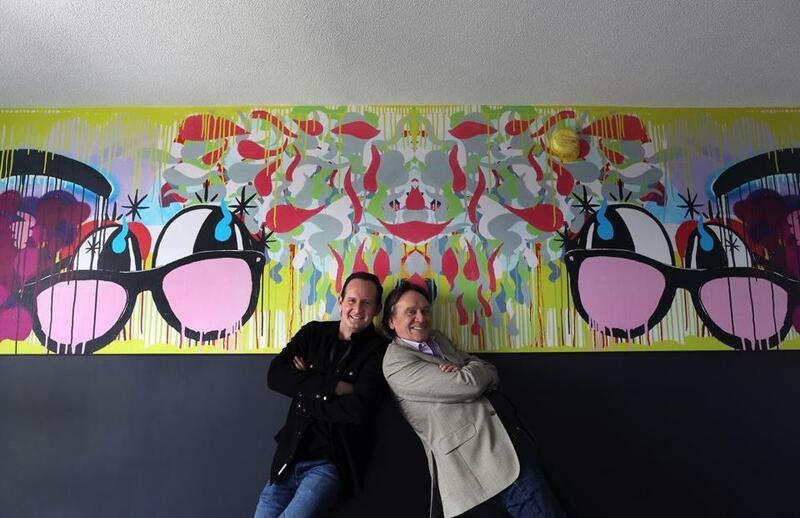 Now he’s overseeing the transformation of the old Days Hotel, a dumpy motor inn on Soldiers Field Road, into a bright, bold, arts-themed boutique named Studio Allston. The 117-room hotel, which will have a black frame wrapping the front door and will showcase custom art all the way down to the key cards, is one of a wave of new hotels in long-overlooked corners of Boston, from the South End and Roxbury to Allston and Brighton. Some are creative boutiques. Some are stylish outposts of national chains. They’re all looking for a foothold in neighborhoods that are starting to get noticed, and to provide an alternative to the traditional hotel hot spots downtown. Brown and the Davis Cos. are betting $21 million on that evolution, hoping the right vibe and a rising tide of development can turn an out-of-the-way patch of Allston into a tourist destination. With a night in a downtown hotel topping $300 during busy months, there’s demand for less-expensive options in neighborhoods where real estate and operating costs might be cheaper, said Sebastian Colella, vice president at the hotel consulting firm Pinnacle Advisory Group. Meanwhile, as companies move to big mixed-use projects such as Boston Landing and Somerville’s Assembly Row, there’s a need for nearby accommodations. 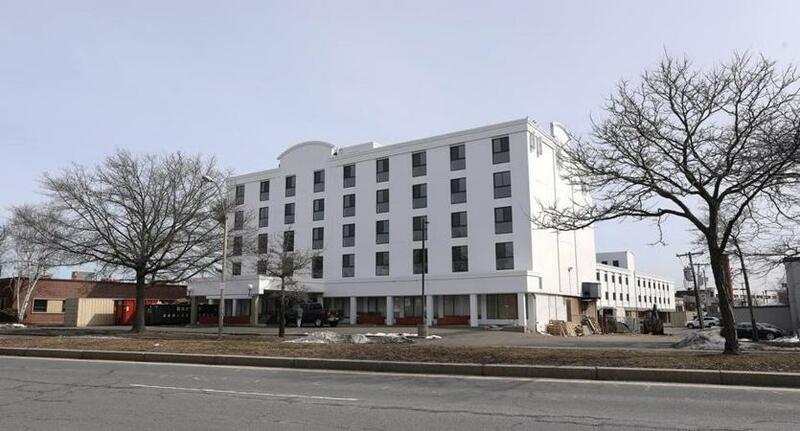 The former Days Hotel, at 1234 Soldiers Field Road, is being converted into Studio Allston. That’s where Colwen Hotels likes to operate. The Portsmouth, N.H., company operates 12 hotels in Massachusetts and is on an expansion tear. It’s opening three Marriott-branded hotels in Boston this year — at Ink Block in the South End and in Cleveland Circle and Roxbury — plus one at Assembly Row and its fourth property in Chelsea. Colwen tries to get into an underserved neighborhood early and establish a market, said president Julie Scott. It also aims to hire locally and connect guests to neighborhood restaurants and events — like the South End’s SOWA Market — they might miss if staying downtown. To help draw guests a bit off the beaten path, some of these hotels have a distinctive look. Colwen’s just-opened AC Hotel at Ink Block is full of sleek, elegant furniture and a lobby that displays museum-quality art. Studio Allston, along with its art, will have a hip brick-and-beam restaurant with a swanky outdoor courtyard. Being “Instagrammable” is a stated goal for both. And more like them are on the way. Mount Vernon Co., which owns apartment buildings in Boston and two inns on Nantucket, is turning a shuttered hostel on Berkeley Street in the South End into a boutique hotel aimed at twenty- and thirtysomething travelers. It will feature a large outdoor seating area, an ice-cream window on the street, and a “unique twist on the Boston experience” in its decor and theme, said Mount Vernon’s chairman, Bruce Percelay. He’s keeping the details secret until the place opens in September. Developers earlier this month filed plans for two large hotels in Kenmore Square: a 295-room expansion of the Hotel Buckminster and a 382-room, 24-story hotel to be built across Beacon Street. Yet another hotel is planned nearby on Boylston Street near Fenway Park, and several more are in the works in Brookline and along Dorchester Avenue in South Boston. 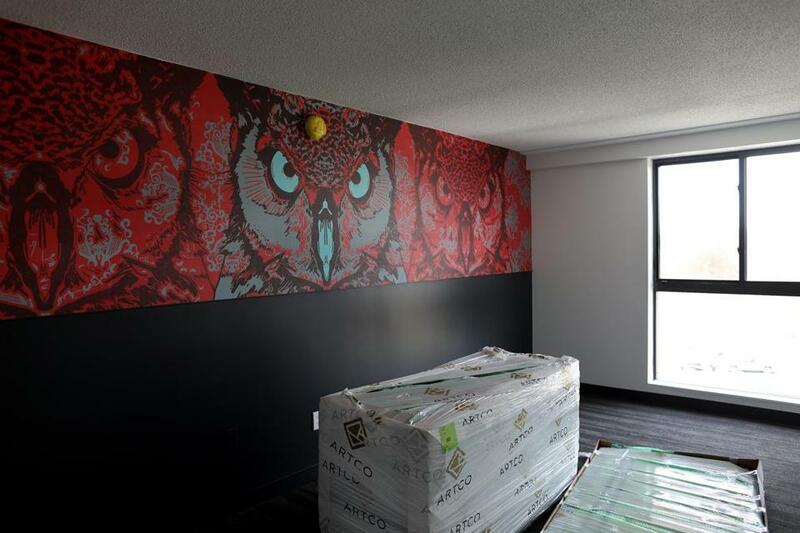 A big owl by Jay LaCouture is a hallmark of one of the rooms of Studio Allston. Last week, the development company Hudson Group said it wants to build a 20-story boutique hotel on a tiny lot on Kneeland Street. It would be the closest hotel to South Station, Hudson’s Noam Ron pointed out, and set amidst the color and bustle of Chinatown and the Leather District, unusual corners of the city with nowhere to stay. Along with a few big hotels in the works in the more traditional places downtown and in the Seaport, the new projects will add hotel rooms to the stock of 22,000 in the region’s core. That could rein in average rates, which have climbed 43 percent since 2009, according to Pinnacle Advisory Group. But, developers say, there’s still upside, especially in new markets. That’s what Brown and Stephen Davis, vice president for development at Davis Cos., see on Soldiers Field Road. They note that their hotel would be a stone’s throw from Harvard University’s burgeoning Allston campus and is close to emerging job centers in Watertown and Brighton. It’s well-situated for visitors to the Head of the Charles regatta and the Boston Calling music festival. It’s also an easy ride to downtown or Logan International Airport. So while it might feel a bit off the beaten path today, that’s not likely to last. “We’re helping to build a neighborhood here,” Brown said.